We have three deeply meaningful actions to alert you about this week, each speaking to the heart of a major challenge today. 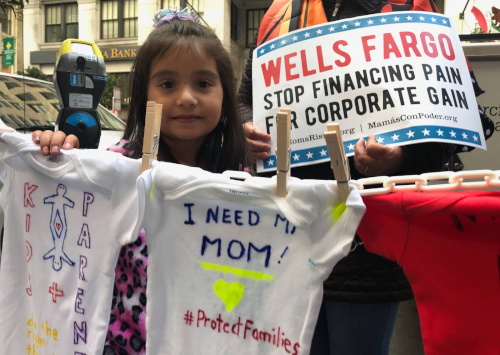 First, a petition to protect those must vulnerable in our horribly broken immigration system by following the money and demanding that Chase Bank and Wells Fargo stop working with ICE as part of the #familiesbelongtogether effort. Next, an opportunity to confront the prison industrial complex and do what we can this legislative season to diminish the use of the death penalty as a pathway to eliminating it. And finally, a joyful opportunity to come together in song and solidarity, people of faith and workers together at the JWJ Faith and Labor Breakfast. This year, not only will we learn and break bread together, but we’ll participate together in an action to support the Burgerville workers who are in collective bargaining. 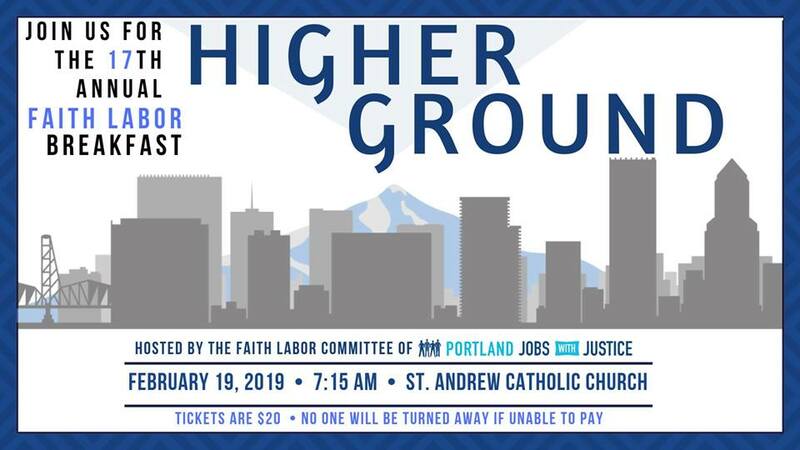 And because all work and no pray can be a recipe for burnout, join us the same evening as the Faith and Labor Breakfast at our next Interfaith Service on Tuesday, February 19 at 7:00 pm at Grant Park Church, 2728 NE 34th. There is ample parking in the lot across the street, a ramp to the front door (there are two front doors, please use the one on the right) and join us for renewing, restorative prayer. Sign this petition to let Jamie Dimon (Chase) and Timothy Sloan (Wells) know that their customers and potential customers are not afraid to align our money with our values. If Wells Fargo and JPMorgan Chase don’t take action, we will — by pledging to, and/or encouraging others to, break up with Wells Fargo and JPMorgan Chase and switch to banks that actually respect our communities instead! 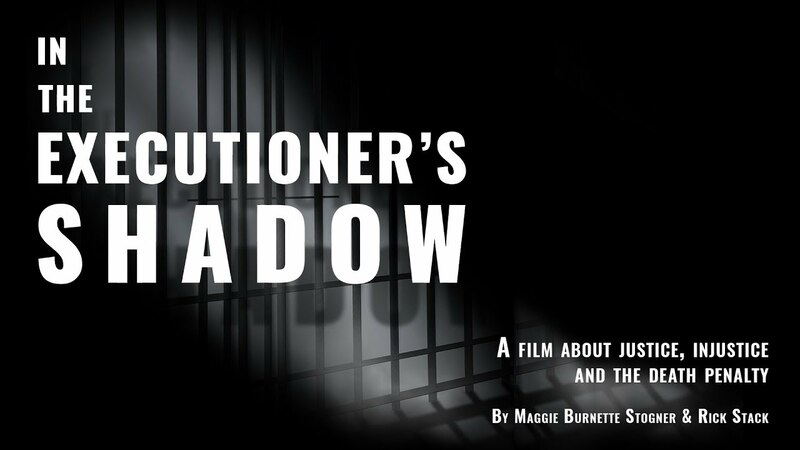 Learn about the Injustice of Oregon’s Death Penalty! Join us for a discussion on the Death Penalty following the above documentary! Join us for the 17th Annual Faith Labor Breakfast! You can purchase tickets here, and also register to share the event oh Facebook as well!